July is sometimes a difficult month to find time and a cool space to knit! But we had some great entries into our #MakeitKoigu competition this month! Here is our winner, something a little different from the usual Koigu projects we see! Custom Colourway for Sewickley Yarns: Ms Tillie! We love to work with our shops and to hear about our shop's events! We are so excited about our most recent collaboration with a store because we're working with a cat! Koigu 3rd Annual Tent Sale! Where Does the Name Koigu Come From? It's very simple and we're here to help! Now that our July Koigu Collector's Club members have received their limited edition yarn, RAKU, we asked them to send us where their RAKU is set up in their shops, an updated photo of their store and tell us a little about their shop's plans for this summer! Our Koigu Travel guide for your next exotic knit-cation! Having a Local Yarn Store nearby that you frequent almost exclusively is the best! 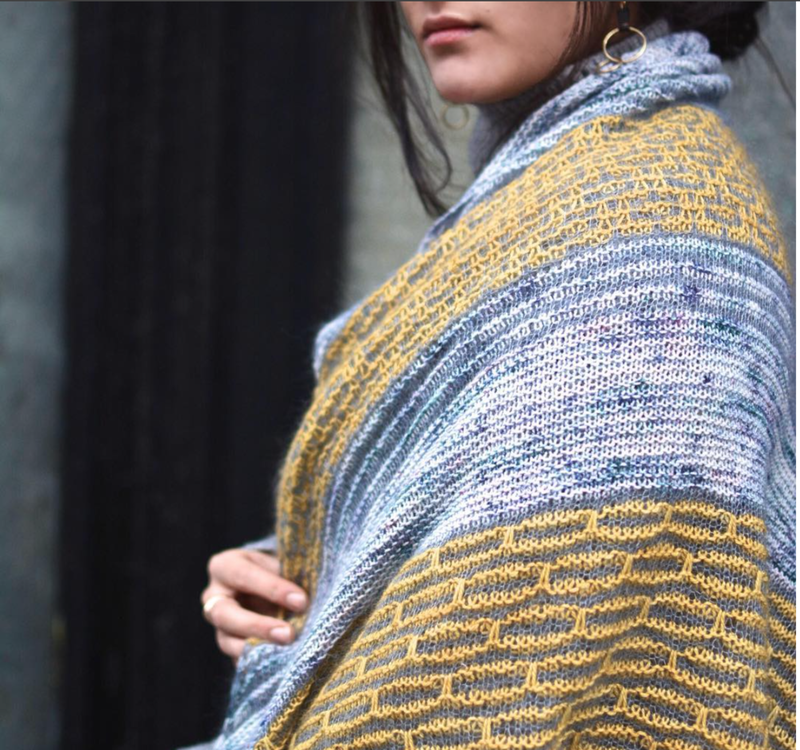 You know exactly where all of your favourite yarns are (like Koigu, of course), the shop owner knows your name and asks how your most recent project is coming along, etc. So lovely! But what if you're going on a trip, you want to explore, and you still need your dose of Koigu yarn shops and fiber cuddling?! We have Koigu all over the world and so many of our shops are in beautiful locations! Here a handful of them, along with a stunning spot to include in your trip to each city with a Koigu yarn shop! Gaspereau River (Photo via Narcity) Amazing place to go lazy river tubing, exploring in the hills and more! View of Ketchikan by the water (Photo via Fine Art America). Elizabeth Castle (photo via Jersey.com) just a ferry ride off of Jersey Island to get to this stunning tudor castle. Jersey is known for its beaches, cliffside walking trails, inland valleys and historic castles. Inside of the Sagrada Familia in Barcelona! (photo via Condé Nast Traveler) Beautiful, massively intricate church that has been constantly added to since 1882. Jungle cruise at Tokyo Disneyland (Photo via D23.com). Water view of Brisbane, a few miles from Taringa, home of Yarn Glorious Yarn. Get adventuring, get inspired, get knitting! 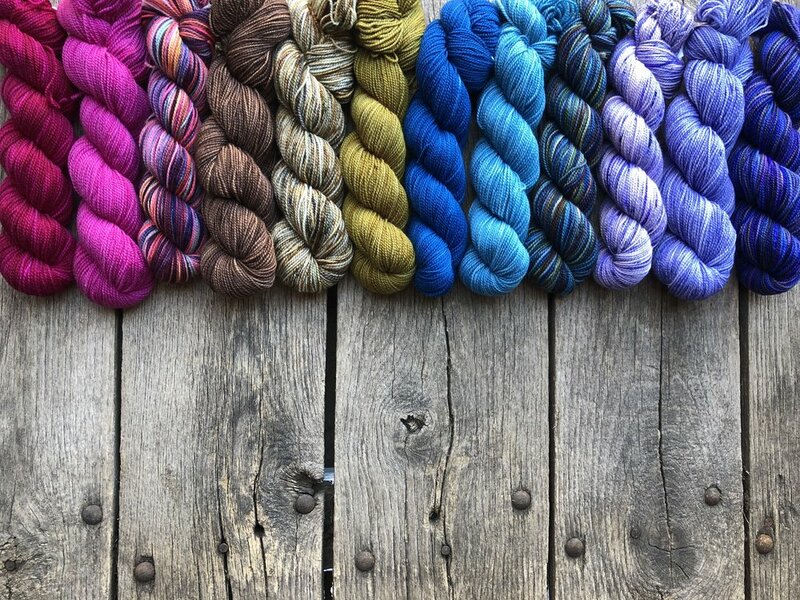 The Koigu Collector’s Club is a monthly limited edition, one-of-a-kind themed colourway of KPPPM hand dyed by Taiu Landra, Co-owner of Koigu Wool Designs. Created exclusively for LYS’s that carry Koigu and have become part of the inaugural group of Koigu Collectors! Each dyelot only has 21 skeins ever available, with a specialty label so you can spot it quickly in your LYS! Get involved in Knit in Public Day! We’ve listed some LYS’s who will be participating as well as ways you can involved on your own! Designer Spotlight on Lisa Doherty and her crochet scarf in Magazine 9! Hello again! For the month of May's Make It Koigu contest winner, we have Betsy Elke! Elke Schroeder is a german design who does an amazing job with playing with colours! Below are two designs that Elke made in Koigu Magazine 9!